Founded in 1881 as the first collegiate business school, Wharton is recognized globally for intellectual leadership across every major discipline of business education with one of the world’s most published business school faculties. Wharton knowledge combined with the passionate, entrepreneurial energies of our students and alumni makes for a dynamic community: 5000 undergraduate, MBA, Exec MBA, and doctoral students; 9,000+ annual exec education participants; and a powerful alumni network of 91,000 graduates. Wharton creates ongoing economic and social value around the world – Knowledge for Action. San Francisco MBA for Executives. Wharton is among the most selective MBA programs in the country. On average, the school receives between seven and 10 applications for each available slot. The school's website notes that "approximately 75 to 80 percent of all applicants are qualified for admission." Applicants are evaluated holistically by at least three members of the Admissions ...Wharton is among the most selective MBA programs in the country. On average, the school receives between seven and 10 applications for each available slot. The school's website notes that "approximately 75 to 80 percent of all applicants are qualified for admission." Applicants are evaluated holistically by at least three members of the Admissions Committee. All prior academic experience, including graduate work and certifications, is considered. GMAT scores also figure into the decision. Quality of professional experiences, career choices, and stated goals for entering the program are all carefully reviewed. Committee members also look for evidence of leadership, interpersonal skills, entrepreneurial spirit, and good citizenship. International students must demonstrate competency in English through essays and interviews. Wharton offers three rounds of an admission each year; the first two rounds are equal with regard to a candidate's admissibility. The third round offers admission on a space-available basis and is generally more competitive. Wharton is a brand that pretty much sells itself, so it’s no surprise that the school’s career services are highly regarded and widely appreciated by students. Each year brings the following career placement services to the campus: over 200 employer information ses­sions; almost 300 recruiting companies; and, more than 5,000 job-board postings. Wharton’s Career Management Services Office also offers resume review and distribu­tion, mock interviews, internship placement, one-on-one counseling, and over 25 career treks both in and outside the U.S. No wonder students praise the “fantastic career oppor­tunities and resources.” About 55 percent of Wharton MBAs take jobs in the finance sector; 28 percent wind up in consulting; and seven percent find jobs in the marketing arena. 37% of our student body is international and we have an international student orientation during pre-term. We also Global Careers Advisor in MBA Career Management who focuses on helping students interested in working outside the U.S. We have a large conference, Wharton Global Forum, which is several international conferences mounted by students under this umbrella, http://www.whartonglobalforum.com/africa/index.asp, India Economic Forum, http://www.whartonglobalforum.com/asia/index.asp, We also have the Greater China Club, Carribiz, India Club, Europa Club, WHALASA-South America, Assoc of African Students, Arabia Club, Israeli Student Club, Austrailia/New Zealand Club, Canada Club, Japan Club, Southeast Asia Club. Out for Business (commonly called "Out4Biz") is Wharton's gay, lesbian, and bisexual professional and social club providing a network for students, faculty, and staff. We strive to continue to build an open and accepting environment for all Wharton students, and count several straight allies among our members. Out4Biz provides an opportunity to network with other gay, lesbian, and bisexual professionals and share our professional interests and goals while connecting with companies across the globe. We interact with other business schools, Wharton alumni, and the communities of Penn and Philadelphia to impact our community beyond Wharton. Out4Biz recognizes that people are at different stages of coming out, and participating in our group does not mean you have to be out. Club Activities RECRUITING DINNERS Out4Biz coordinates recruiter-sponsored dinners throughout the fall that allow companies to make their pitch to current students and to talk about diversity initiatives where they work. SOCIAL EVENTS Out4Biz organizes social events for its membership throughout the year, including a holiday party, a graduation sendoff, welcome weekend parties for prospective students and casual weekend activities. RAINBOW PARTY Out4Biz sponsors this annual celebration of National Coming Out Day in what is the first major Wharton calendar party of the year. COMMUNITY SERVICE Out4Biz membership actively support a wide array of community initiatives including the annual AIDS Walk and the Human Rights Campaign. At the annual HRC dinner, Wharton provides the majority of volunteers. SPEAKER RECRUITMENT Out4Biz works with other WGA clubs and Wharton organizations to attract gay and lesbian speakers to campus that are leaders in their fields. MEMBERSHIP DEVELOPMENT Alumni Mentorship Program Â– O4B recently launched a mentorship program matching current MBA students with gay or lesbian Wharton graduates with similar interests. Resume Review & Case Interview Preparation Â– O4B coordinates sessions to help 1st years write their resumes and prepare for case interviews. The resume review also allowed 1st years the chance to talk with 2nd years about being Â“outÂ” on their resumes. http://www.whartonaambaa.com/v2/; http://www.whambaa.com/; http://www.whartonldssa.com/ In addition we have a Muslim Student Club, a Catholic student club, Jewish Student Club, Latter Day Saints, Christian Fellowship. Faculty members and course teaching assistants are available for course-related assistance during their office hours. Many students also get a great deal of help in learning specific subjects from fellow classmates or doctoral students who have more background in these areas. Should you need more individualized assistance with a specific subject, the MBA Program Office offers a web-based service, [email protected], to match students with peer tutors. This service is available through the MBA Program Office website. Wharton Women in Business (WWIB) is a professional organization that strives to increase career, mentoring and networking opportunities for all women at Wharton by serving as a platform for professional advancement and collaboration. The organization initiates efforts in admissions, alumni outreach, professional and personal development, recruiting and community service. In addition to a full calendar of events, WWIB hosts an annual conference. All Wharton women are automatically WWIB members (there are no dues). Club Mission To promote women's continued success as leaders in business and beyond. Club Activities 1. Wharton Women in Business Conference: The conference is an event to promote the collaboration and mentoring of women in business and provide an opportunity for Wharton Women to network with successful women from a broad spectrum of industries. Career Development: Provide resources to enhance career development and exploration among first and second year women. Some initiatives include the buddy program and the coffee chat program, both of which encourage mentoring interactions between first years and second years in an informal setting. Some more formal initiatives include resume reviews, mock interviews, industry and company-specific lunches and events, speaker series, and workshops on relevant topics. Social Events: Encourage the building of relationships through club-sponsored activities, such as social and cultural events, including patronage of the arts, international dinners, and sports events. Alumnae Outreach: A primary focus this year will be to develop relationships with Wharton alumnae to both advance the goals of current Wharton women and provide a forum for Wharton alumnae to network with each other. Alumnae events will include regional and on-campus activities for current and former Wharton women, as well as career-related initiatives. Outreach to Prospective Student: Reach out to prospective students through direct email correspondence, Welcome Weekend brunches, and regional Winter Break coffee chats. Community Service: Host fundraisers and year-long service projects to benefit non-profits focusing on women. External Relations: Build relationships with undergraduate and graduate womenÂ’s groups as well as professional and special interest womenÂ’s groups in the greater Philadelphia area. 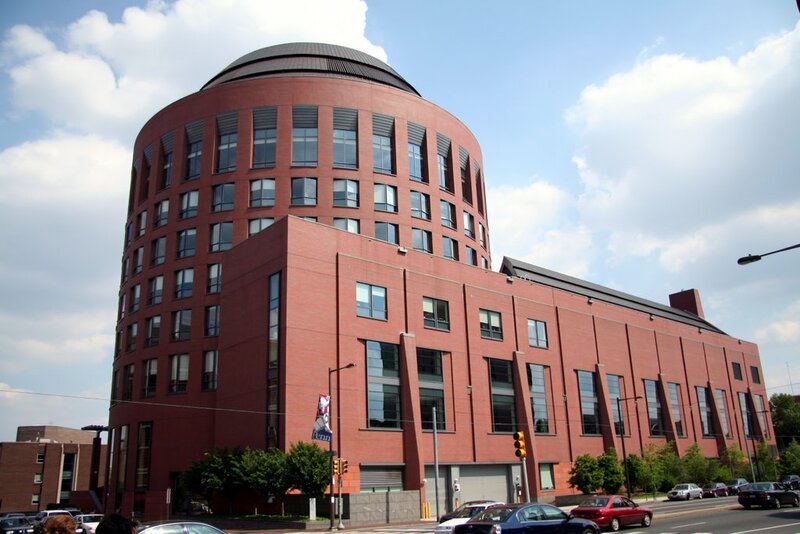 Want more info about University of Pennsylvania, The Wharton School Executive MBA? Get free advice from education experts and Noodle community members.